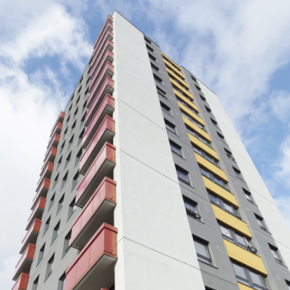 Alumasc’s Technical Director Mark Gibbs discusses what specifiers should look for in their EWI system for high-rise and the importance of safe installation. Specification for the multi-storey application of External Wall Insulation is very different to that of low-rise projects, with health and safety procedures being a key consideration in the thermal upgrade of high-rise buildings. 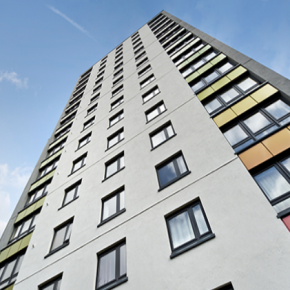 High rise projects for the last 25 years have been refurbished using EWI, as a cost effective method of achieving thermal and aesthetic upgrade of buildings. EWI solves the issue of condensation, water ingress and poor thermal performance of many of the blocks and provides a U-value to comply with current Building Regulations. 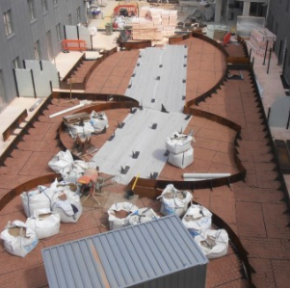 The appropriate type of EWI insulation board is mechanically and adhesively fixed to the substrate to achieve the thermal requirements of the project. A polymer modified reinforcing base coat, incorporating a fibreglass reinforcement mesh, is then applied. Various finishes are available, ranging from traditional dash or painted renders to more modern through-coloured silicone renders, once it has fully cured. The insulation boards of high-rise EWI specification must be adhesively and mechanically fixed. 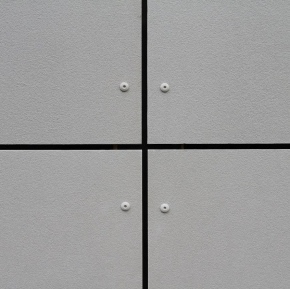 To accommodate higher wind loads, calculations must be made and the edge zones, and increased mechanical fixings are required for external corners and openings. The calculations must always be conducted by Structural Engineering Consultants to ensure structural stability, required performance and system longevity. For use in high-rise application, specified EWI systems must be officially accredited and approved. 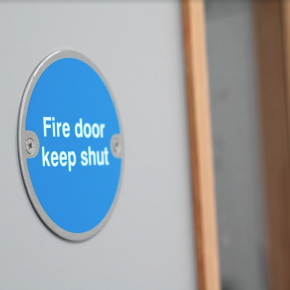 The system requires a large scale fire test or reaction to fire test when used above 18m in height. There are additional detailing considerations compared to low-rise, as well as through-the-wall square metre rates. Including parapet, lightening conductor, CCTV, external lights, robust window cill details, ground floor entrance areas etc. 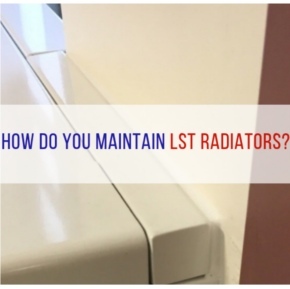 It is critical that all detailing is robust and installed as per specification .Any repairs are more difficult and costly to address than for low-rise projects once the wall access is removed. Scaffold ties should be fixed in the most practical locations and protected scaffolding is recommended. Mast climbers are an economical and faster track option for EWI install, however they offer less protection to newly installed work. Programming considerations should always allow for weather conditions.